With Father’s Day only days away, I can imagine most of you are looking for last-minute gifts for the special Dads in your life: Your own father, spouse, sibling, brother-in-law. Basically anyone except for your padrino or your children’s padrino. Many times the Godfather tends to be that cool, childless uncle. And as The Godfather (I have more than four God children of my own), I’m here to remind you not to forget your padrino on Father’s Day because godfathers bring all the fun! I had the pleasure of celebrating “Father’s Day” a few days ago when my niece and nephew gave me what I consider to be the perfect Godfather gift for their Tio Adriel (that’s what my 1-year-old nephew calls me). My niece surprised me with a gift card from Domino’s! I put my card to work right away and ordered a medium pie. My closest friends and wife can tell you about my slight obsession with Domino’s. It’s what I ate almost 24/7 during college. (I still remember the phone number I dialed daily more than 10 years ago in Syracuse: 423-0333. Cheesy breads were my favorite. Don’t judge me). They're still my go-to especially when I’m babysitting or spending time with my God-kids. 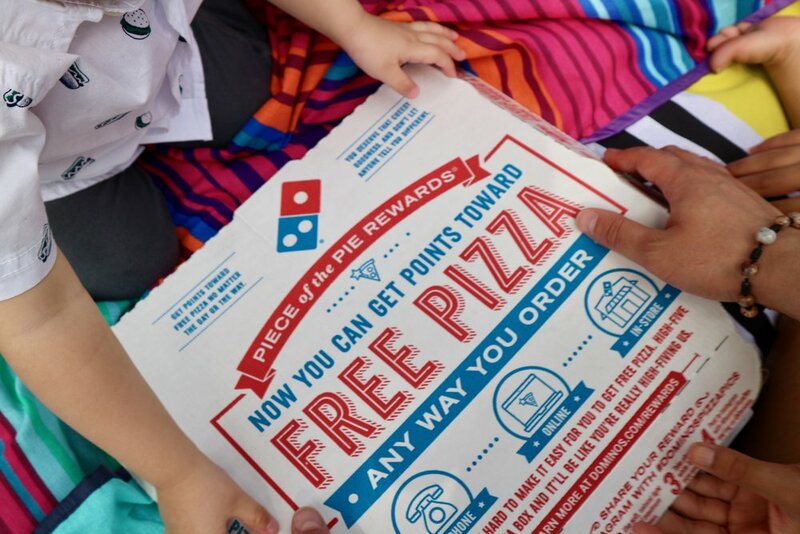 Domino’s launched Hotspots which now lets you receive delivery orders of your favorite pizza, wings or cinnamon bread twists at spots like parks, beaches and outdoor sites. Just in time for the summer BBQs and fun at the beach! As the “cool” uncle, we’re the ones the kids get happy to see. Because we have no kids of our own, us childless uncles and Godfathers have the energy and the patience to play the same games over and over. We have the bandwidth so running around the backyard and acting silly is never a problem. Some of my Godkids live a couple of hours away so I try to visit them at least once a year for their birthday and speak to them on the phone. But again - when I see them it’s all about letting them know they’re loved and playing their favorite games. We’re there to help them swim. Play tag and video games and act silly. But it’s not just about having fun. As padrinos, we have to also be prepared to offer advice on school and social life as the kids get older. I know the holiday is clearly for Dads, but since The Godfather brings all the fun, consider giving the Padrino in your life something he would enjoy and can share with your children. I highly recommend trying out Dominos’ Hotspots from your phone or tablet this summer. Let me know if you do! This is a sponsored post in collaboration with Domino's, but as always, all views are our own.